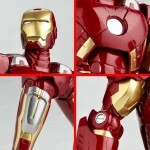 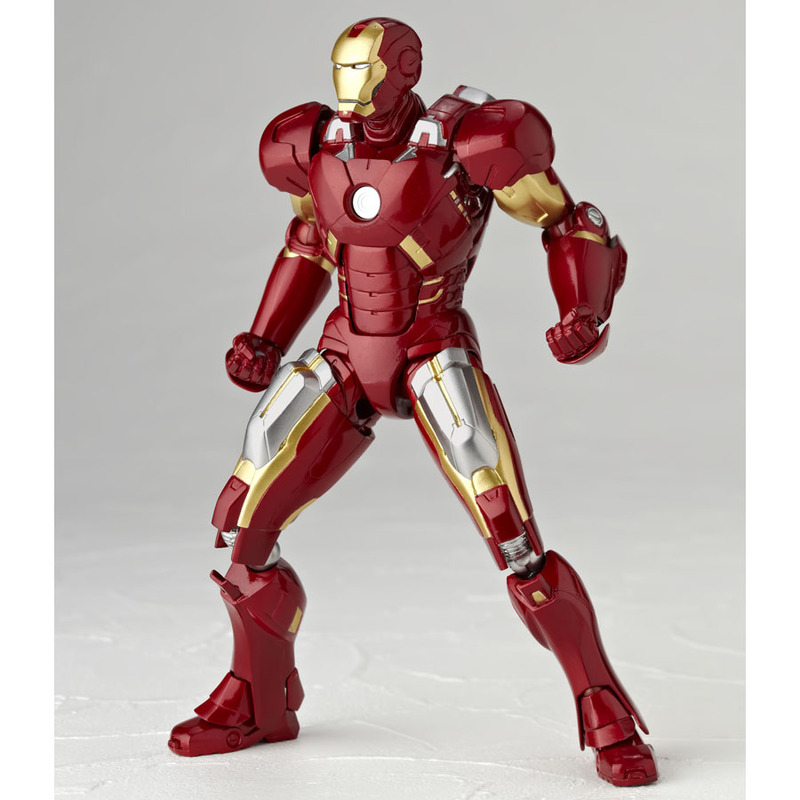 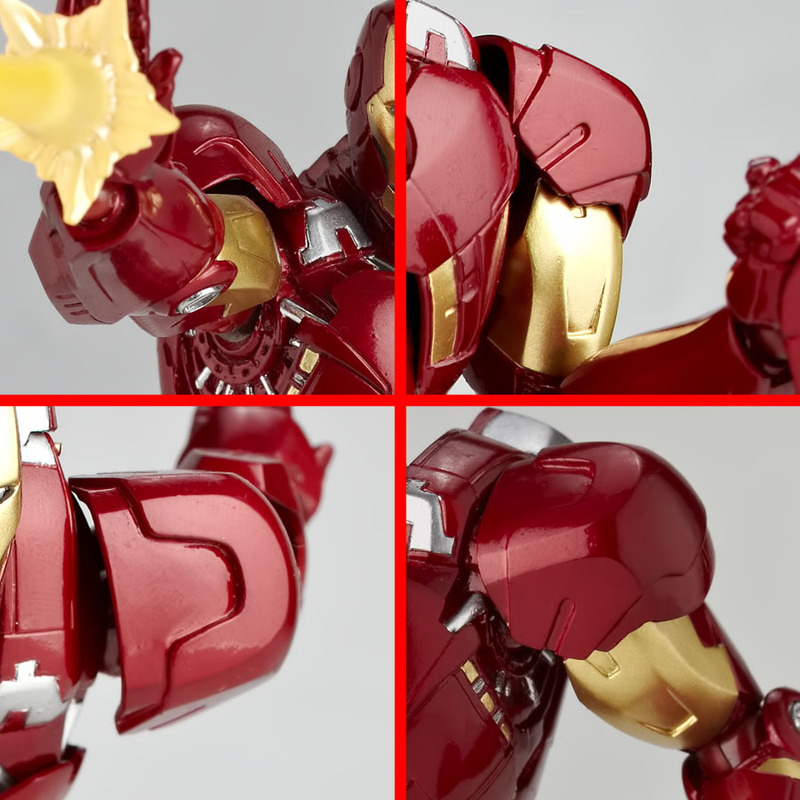 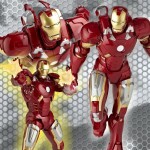 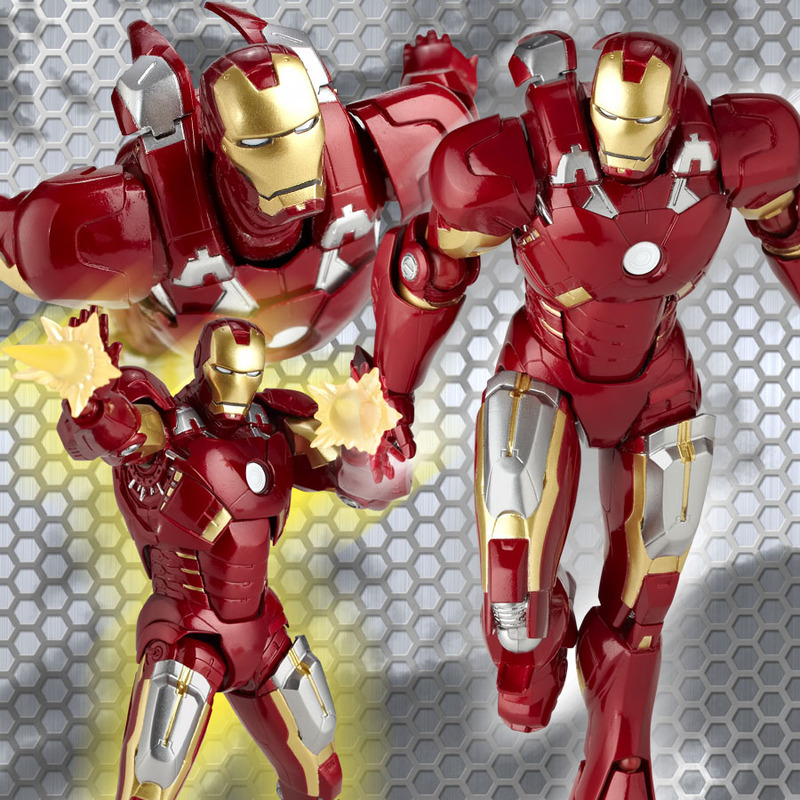 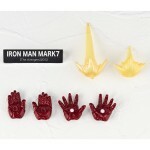 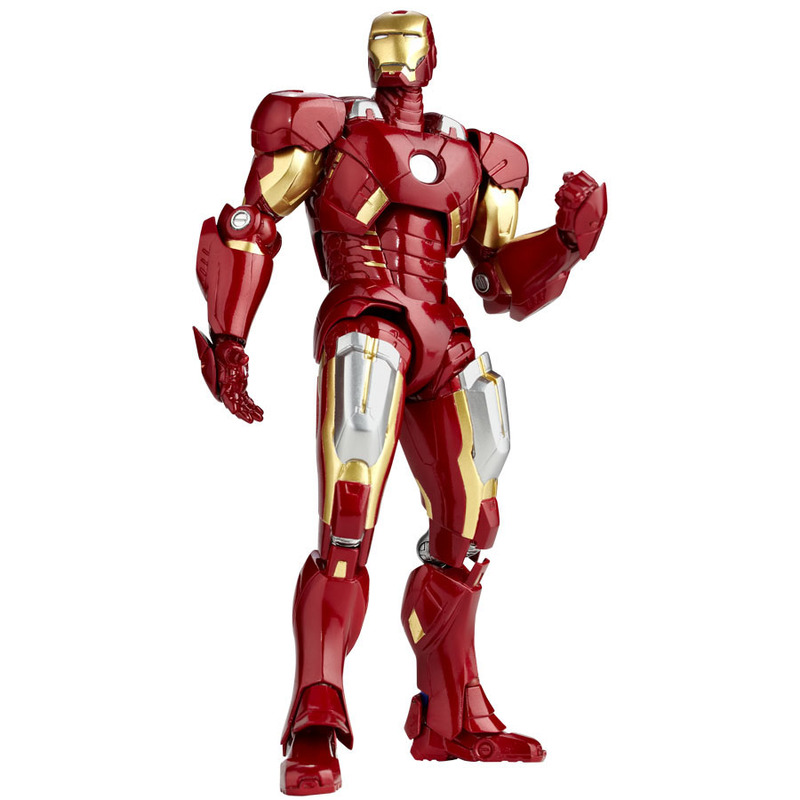 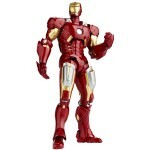 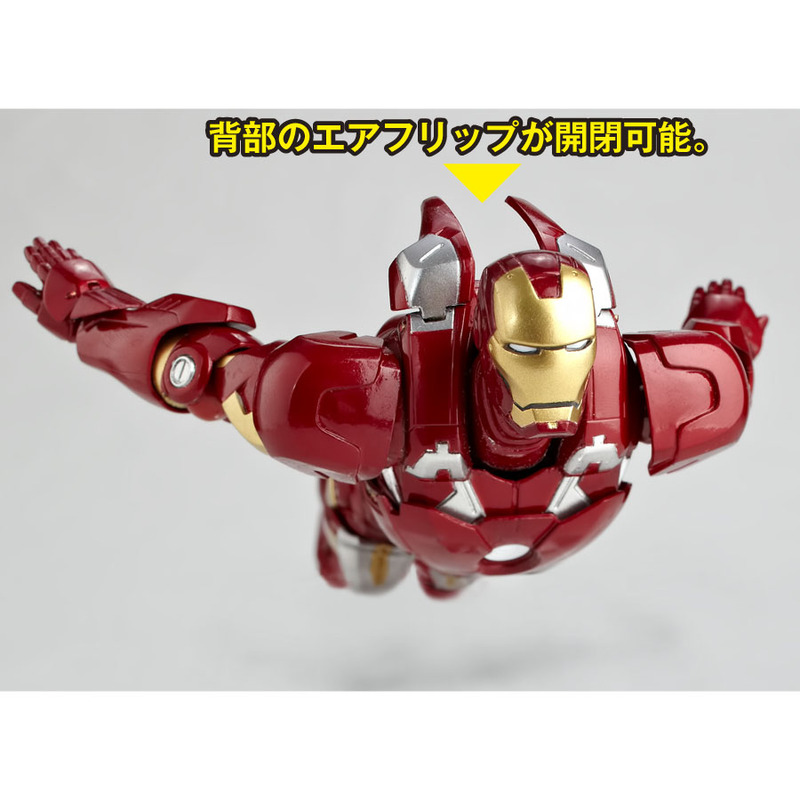 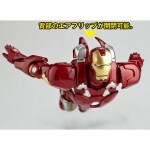 Tokusatsu Revoltech has released new images of the upcoming Revoltech Avengers Movie Iron Man Mark VII figure. 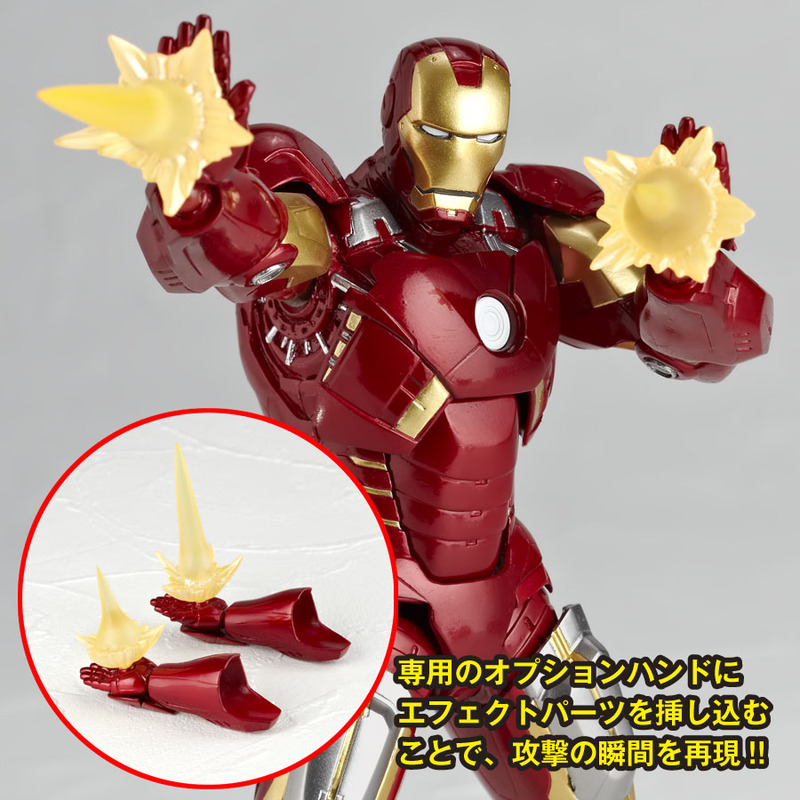 It is due out sometime next year, no specific date is given. 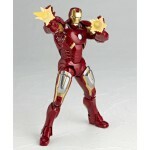 The figure stands just over 6″ tall and features 23 points of articulation. 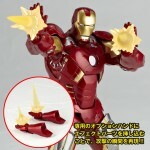 It comes with two sets of hands, a base as well as pulsar effects for the hands. 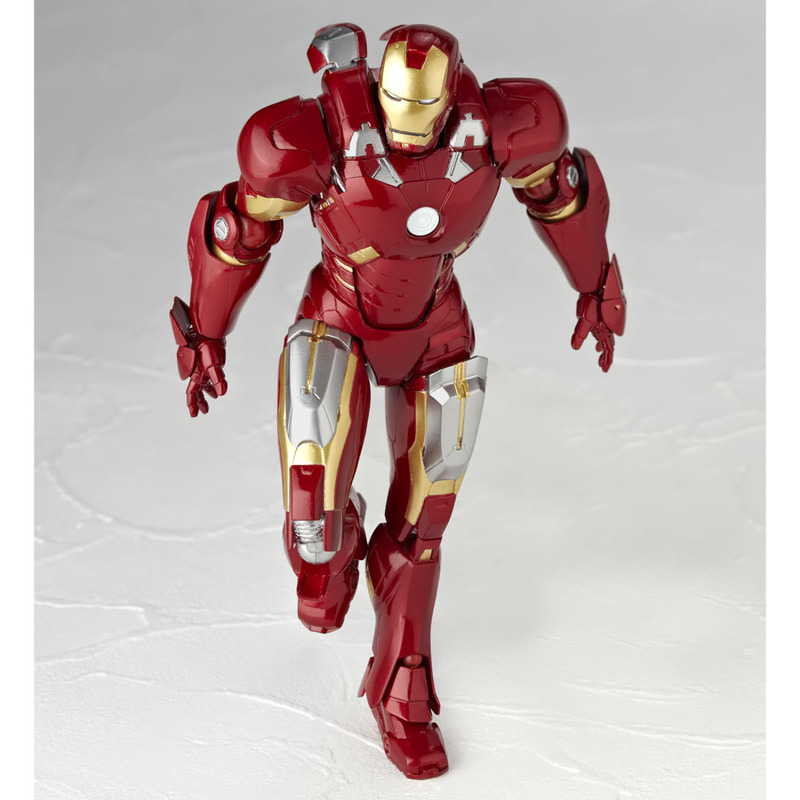 Just over 6" tall. 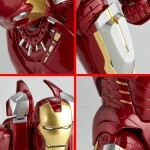 That's a must buy for me. Will look great next to Marvel Legends. 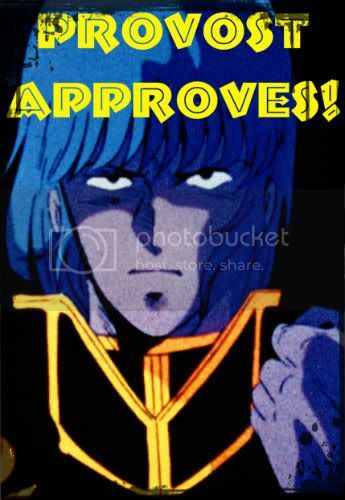 Kaiyodo... 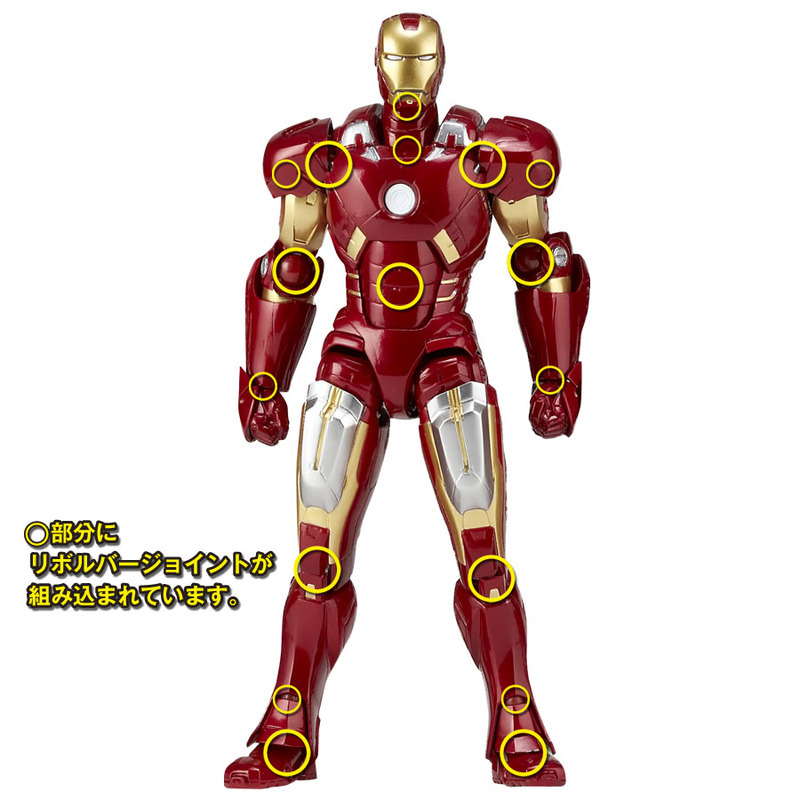 PLEASE do another run on War Machine. That looks gorgeous but I'm still PO'd at Hasbro for not making one to put in their Avengers 6 inch line and just reuse the Mark VI and put crappy looking battle damage on it. 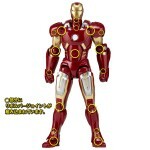 Guesses as to how much this will cost? nice but I will wait to the 1/4 from Neca. 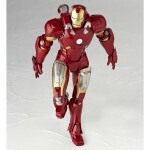 This is to little for me.